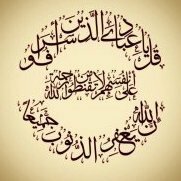 What is written below is according to the "old" Fatwa which is commonly given by Scholars and which is mentioned in many famous books of Hanafi fiqh. It was approved by Mufti Zubair Dudha sahib accordingly. According to this opinion a woman who commences a journey in the state of menstruation (and travels 48 miles or more) is not regarded a shar'ee traveller and therefore is required to perform full salaah at her destination after she attains purity even if her stay is less than 15 days. However a "new" Fatwa has been issued after recent research undertaken by Darul Uloom Karachi (See Post number 9 & 12 posted by Sister Bint e Aisha). According to this research a woman is regarded a traveller regardless of whether she commenced her journey in the state of menstruation or purity. She will perform Qasr at her destination if her stay is less than 15 days. Please red attached Fatwa for full explanation. According to scholars both views are available. * If a woman commences a journey in the state of menstruation and travels 48 shar'ee miles or more in this state, she is not considered a Shar’ee traveller. She will perform full salaat upon gaining purity at her destination and not Qasr, regardless of the duration of her stay at the destination being less than 15 days. * If a woman commences a journey in the state of menstruation, but gains purity during the journey when there are 48 miles or more remaining to the destination, then she will perform Qasr at her destination if her stay is less than 15 days. However if she gains purity during the journey when there are less than 48 miles remaining to the destination, then she will not be considered a Shar’ee traveller and she will perform full salaat at her destination regardless of her stay being less than 15 days. boundary of her hometown, she will not be regarded as a traveller. She will perform full salaat upon gaining purity at her destination and not Qasr, regardless of the duration of her stay at the destination being less than 15 days. She will be considered a traveller only if haidh begins outside the boundary of her hometown and she will perform Qasr after attaining purity at the destination if the length of stay there is less than15 days. Note:48 Shar'ee miles is 55 English miles (54.1/2 Precisely). is this according to Hanafi Madhab ? ok , just noticed it is in Hanafi fiqah section . Thanks sis for sharing . Did not know about it. Q: My question is regarding a woman in haidh. If a woman is in haidh and she is going to travel, will the conditions of salaah apply to her? When she reaches her destination, and she becomes tahirah, will she read qasr salaah or she will first have to travel a safr distance from there in order to read qasr or will she have to count the number of days she will be staying there from the day she becomes pure inorder to read qasr? Kindly send me the reference as well. A: If she travels for 78km or more and throughout the journey she was in the state of haidh, then upon reaching the destination she will read complete Salaah. However, if during the journey she became pure and travelled for 78km or more while she was paak, upon reaching the destination she will perform qasr Salaah if she intends staying for less than 15 days at her destination. طهرت الحائض وبقي لمقصدها يومان تتم في الصحيح كصبي بلغ بخلاف كافر أسلم. A woman is a Musafir. Her Haidh starts 2 days after she reaches her destination. She becomes paak after 4 days. Does she continue performing Qasr for the rest of her stay or must she perform full Salah? Awoman may face one of two situations while undertaking a Sharī journey (15 days or more). Each one has its own ruling. 1. She initiates her travel in a state of Haidh (menstruation). 2. She initiates her travel in a state of purity and experiences Haidh at a later stage. In the case where she starts her journey in a state of Haidh, if she becomes pure before reaching her destination and the distance between herself and her destination is Masaafah al-Safar (the distance that qualifies an individual to be Musaafir) or more, she will shorten her prayers (Qasr) during her trip. However, if after becoming pure, the distance between herself and her destination is less than Masāfah al-Safar, then she will perform all of her prayers in full. In this case, she will not be regarded as a Sharī traveler (Musāfirah). Based on the above, the woman in reference only experienced Haidh after reaching her destination. Since she initiated her journey in a state of purity, she will be regarded as a Musāfirah and she will shorten her prayers (Qasr) after attaining purity. (قَوْلُهُ تُتِمُّ فِي الصَّحِيحِ) كَذَا فِي الظَّهِيرِيَّةِ. قَالَ ط وَكَأَنَّهُ لِسُقُوطِ الصَّلَاةِ عَنْهَا فِيمَا مَضَى لَمْ يُعْتَبَرْ حُكْمُ السَّفَرِ فِيهِ فَلَمَّا تَأَهَّلَتْ لِلْأَدَاءِ اُعْتُبِرَ مِنْ وَقْتِهِ. (قَوْلُهُ كَصَبِيٍّ بَلَغَ) أَيْ فِي أَثْنَاءِ الطَّرِيقِ وَقَدْ بَقِيَ لِمَقْصِدِهِ أَقَلُّ مِنْ ثَلَاثَةِ أَيَّامٍ فَإِنَّهُ يُتِمُّ وَلَا يُعْتَبَرُ مَا مَضَى لِعَدَمِ تَكْلِيفِهِ فِيهِ ط (قَوْلُهُ بِخِلَافِ كَافِرٍ أَسْلَمَ) أَيْ فَإِنَّهُ يَقْصُرُ. قَالَ فِي الدُّرَرِ لِأَنَّ نِيَّتَهُ مُعْتَبَرَةٌ فَكَانَ مُسَافِرًا مِنْ الْأَوَّلِ بِخِلَافِ الصَّبِيِّ فَإِنَّهُ مِنْ هَذَا الْوَقْتِ يَكُونُ مُسَافِرًا، وَقِيلَ يُتِمَّانِ، وَقِيلَ يَقْصُرَانِ. اهـ. وَالْمُخْتَارُ الْأَوَّلُ كَمَا فِي الْبَحْرِ وَغَيْرِهِ عَنْ الْخُلَاصَةِ. قَالَ فِي الشُّرُنْبُلَالِيَّةِ: وَلَا يَخْفَى أَنَّ الْحَائِضَ لَا تَنْزِلُ عَنْ رُتْبَةِ الَّذِي أَسْلَمَ فَكَانَ حَقُّهَا الْقَصْرَ مِثْلَهُ. اهـ. Me and my wife went jamat, however when we left our house she was in halaate haiz. During the journey a woman becomes clean, will she do qasar and when is ghusl due after menses? You state you became paak (pure) in Pietermaritzburg. You will read your Salah in full whilst you are there. Your destination from there is Durban which could be more or less than 78 km dependent on the route taken. If you have taken the route of 78 km or more than you will do qasar once you leave Pietermaritzburg or else you will read your Salah in full. (قوله تتم في الصحيح) كذا في الظهيرية. قال ط وكأنه لسقوط الصلاة عنها فيما مضى لم يعتبر حكم السفر فيه فلما تأهلت للأداء اعتبر من وقته. (قوله كصبي بلغ) أي في أثناء الطريق وقد بقي لمقصده أقل من ثلاثة أيام فإنه يتم ولا يعتبر ما مضى لعدم تكليفه فيه ط (قوله بخلاف كافر أسلم) أي فإنه يقصر. قال في الدرر لأن نيته معتبرة فكان مسافرا من الأول بخلاف الصبي فإنه من هذا الوقت يكون مسافرا، وقيل يتمان، وقيل يقصران. اهـ. والمختار الأول كما في البحر وغيره عن الخلاصة. قال في الشرنبلالية: ولا يخفى أن الحائض لا تنزل عن رتبة الذي أسلم فكان حقها القصر مثله. اهـ. Will a travelling woman pray Qasr Salah after her menses? The discussion has been among ulama for few months over this, and now ulama' have started to change their view. Darul uloom Karachi has also given a new fatwa on the issue that she will make qasr and count her safr from the beginning. Below is the fatwa of Mufti Emraan Vawda Sahib. Is the Safr during Haidh counted? In the past two days I have received a number of queries on this issue, hence the need for this brief article. A woman undertook a journey of 100 km. When she set out, she was in the state of haidh. After completing 50km, she became clean and made ghusl (ritual bath). She then completed the journey. If the distance covered during haidh is not counted, it would be considered as if she only travelled 50km. A journey of 50km does not make Qasr obligatory (or even optional). If the said distance is counted, since she undertook a journey of 100km, she will have to make Qasr. Tartarkhaaniyyah, Halbi Kabeer, Ahsanul Fatawa, etc. the distance is not considered. According to this view, the lady will thus read four rakaats fardh. Other works, such as Al muheetul burhaani, record that the distance will be considered. Thus the woman will read two fardh instead of four. Many Ulama used to give fatwa based on the First View, which I have referred to as the “Old Fatwa”. This was based on what appears in the more famous Hanafi works. I also used to give fatwa accordingly. Recently Darul Uloom Karachi undertook research into this matter. A copy of their fatwa is attached below, for which we are most grateful. In this research they drew attention to the Second View, of which many Ulama were unaware. They also gave reasons to show that the Second View should be preferred. Based on this new information, I have now retracted from the First View and adopted the Second View, hence I refer to the Second View as the “New Fatwa”. We should not be ashamed of constantly updating our knowledge. Mistakes of the past should not be a barrier of acknowledging the better or correct view when we are apprised of it. Since the Old Fatwa was based on reliable sources, one cannot blame those Ulama who gave fatwa accordingly. In brief, the New Fatwa is that a woman in the given scenario should make Qasr. four rakaats (obviously relying on the Old Fatwa at the time) whereas she should have been making two rakaats. The short answer is that she will not have to repeat such salaah. Yes yes I will add further information. I have posted it after consulting a number of reputable muftis. Also I wanted to attach a pdf file but I have no idea how to do it on the forums. I will email you that file inshaAllah. According to most Ḥanafī scholars, the travel of a woman in her menses does not constitute travel for the purpose of shortening the Ṣalāh. Therefore, if she commences and completes her journey in the state of menstruation, she will not shorten her Ṣalāh at this destination. However, if her menstruation finishes and she continues to travel thereafter, she will shorten her Ṣalāh. This position has been affirmed by many Ḥanafī scholars including ʿAllāmah Abū Bakr Muḥammad ibn Ibrāhīm ibn Anūsh al-Ḥaṣīrī al-Bukhārī (d. 500/1107), ʿAllāmah Ẓahīr al-Dīn Muḥammad al-Bukhārī (d. 619/1622-3), the eighth century jurist ʿAllāmah Dāwūd ibn Yūsuf al-Khaṭīb (n.d.), ʿAllāmah Farīd al-Dīn ʿĀlim ibn al-ʿAlāʾ al-Tātārkhānī (d. 786/1384-5), Ḥāfiẓ Badr al-Dīn al-ʿAynī (d. 855/1451), ʿAllāmah Ibrāhīm Ḥalabī (956/1549), ʿAllāmah Ḥaṣkafī (d. 1088/1677), ʿAllāmah Ṭaḥṭāwī (d. 1231/1816), ʿAllāmah Ibn ʿĀbidīn (d. 1252/1836), Shaykh Ashraf ʿAlī Thānawī (d. 1362/1943), Mufti Maḥmūd Ḥasan Gangohī (d. 1417/1996), Mufti Rashīd Aḥmad Ludyānwī (d. 1422/2002), Mufti Raḍāʾ al-Ḥaq (b. 1369-70/1950) and others. This is also the famous position of the Mālikī school of thought. The reason why her travel will not constitute travel for the purpose of shortening the Ṣalāh is that a woman in her menses is not mukhāṭab (addressee/instructee) to offer Ṣalāh, not even as qaḍāʾ. Therefore, her intention to travel is irrelevant in so far as shortening Ṣalāh is concerned, just as the intention of a non-mature child who travels is not relevant according to the dominant Ḥanafī position. 1. Almighty Allah says in the Qurʾān (4:101), “And when you travel throughout the land, there is no blame upon you for shortening the prayer.” Almighty Allah says in the Qurʾān (2:184-5), “And whoever from you is ill or on a journey, then the same number from other days.” These verses are general and do not stipulate any conditions in relation to the travel or the traveller. Thus, according to the Ḥanafī school of thought, all forms of travel including travel for a sinful purpose constitute travel for the purpose of shortening the Ṣalāh and the option not to fast. Likewise, the travel of all different types of travellers including a menstruating woman should constitute travel, as the reason for shortening Ṣalāh and the option not to fast is travel. 2. We have not come across any ḥadīth or statement from the first generation of Ḥanafī jurists which suggests that the travel of a menstruating woman does not constitute travel for the purpose of shortening Ṣalāh or the option not to fast. This is particularly relevant because the female companions would travel with the Prophet ﷺ and it would be inevitable for some of them to be in the state of menstruation at some point during the journey. If their travel in the state of menstruation did not constitute travel for the purpose of shortening Ṣalāh, this is likely to have been transmitted. 3. According to most Ḥanafī scholars, the travel of a non-mature child does not constitute travel whereas the travel of a non-Muslim constitutes travel. This is because the child is not mukallaf (responsible) and mukhāṭab and therefore his intention to travel is not valid, whereas a non-Muslim adult is mukallaf and mukhāṭab and therefore his intention to travel is relevant. Although there is a clear difference between the state of menstruation and disbelief, however, in both conditions there is a common feature in that both are mukallaf and mukhāṭab, as outlined below. Thus, based on analogy, the travel of a woman in her menses should constitute travel for the purpose of shortening the Ṣalāh. 4. A woman in menstruation is mukallaf and mukhāṭab. This is illustrated by the fact that the prohibition of travelling without Maḥram also applied to women in menstruation. Similarly, a travelling woman can choose not to fast after her menstruation ends. Similarly, a woman in her menstruation is required to enter the state of iḥrām when she passes the mīqāt. These examples demonstrate that a woman in her menses is both mukallaf and mukhāṭab. This is why she is obliged to make qaḍāʾ of the missed fasts. It is a separate matter that the Sharīʿah has not prescribed the Ṣalāh to be repeated for a very good reason. The instruction not to perform Ṣalāh temporarily during her menses does not mean she is incapable of making an intention to travel. Thus, her intention to travel is valid. 5. Moreover, it could be argued from one perspective that the khiṭāb (address/instruction) to a woman in her menses is stronger than the khiṭāb to a non Muslim because a non-Muslim who accepts Islam is not required to make qaḍāʾ of any fasts. It is perhaps for this reason some Mālikī scholars have mentioned that there is a difference of opinion whether non-Muslims are mukhāṭāb of furūʿ (branches, compared to uṣūl, beliefs), whereas women in their menses are mukhāṭab prior to their menses by consensus and that the khiṭāb of Ṣalāh is temporarily suspended due to an obstacle (menses) which will come to an end. This also suggests from one Mālikī perspective that the khiṭāb for women in their menses is stronger than the khiṭāb for non-Muslims. This is why some Mālikīs suggest that the travel of a woman in her menses constitutes travel unlike the travel of a non-Muslim, opposite to the opinion of most Ḥanafī scholars. 6. We have not come across this issue in the works of Imam Muḥammad ibn al-Ḥasan al-Shaybānī (d. 189/805). Based on the books cited in this document, Imam Abū Jaʿfar al-Hinduwānī (d. 362/973) appears to be from among the most senior and earliest scholars who has a view on this issue. This not withstanding the fact that ʿAllāmah Abū Bakr al-Ḥaṣīrī al-Bukhārī (d. 500/1107) and ʿAllāmah Ẓahīr al-Dīn al-Bukhārī (d. 619/1622-3) and others cited above are also senior jurists as clearly demonstrated by the fact that most Ḥanafī jurists have subsequently relied on their position. It is worth noting, as mentioned by Mufti Muḥammad Taqī ʿUthmānī (b. 1362/1943), that ʿAllāmah Ibn ʿĀbidīn (d. 1252/1836) did not have access to al-Muḥīṭ al-Burhānī wherein the view of Imam Abū Jaʿfar al-Hinduwānī (d. 362/973) is cited. If ʿAllāmah Ibn ʿĀbidīn (d. 1252/1836) was aware of it, he may have adopted it or at least cited it as a view. Further, it has already been mentioned that Imam Abū Jaʿfar al-Hinduwānī’s (d. 362/973) position is the same as the position of the Shāfiʿī and Ḥanbalī schools. Several Mālikī scholars also share this view. In conclusion, the preferred view appears to be that in this scenario the woman should shortern her Ṣalāh. However, as there is a difference of opinion among the Ḥanafī and Mālikī jurists regarding this issue, the obligation of Ṣalāh will be fulfilled by performing the full four Rakʿah Ṣalāh, even according to the Shāfiʿī and Ḥanbalī schools of thought as they do not regard shortening the Ṣalāh necessary. Thus, in this scenario, if a woman shorterns the Ṣalāh or performs the full four Rakʿah Ṣalāh, there is no need to repeat the Ṣalāh.